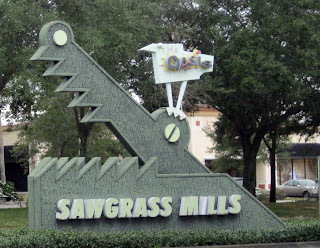 Sawgrass Mills is one of the places that our overseas visitors always need to visit, in fact they usually spend two days at this very popular Florida outlet mall, and they make sure to bring empty suitcases, because our visitors know they need space to carry all of their purchases from the Sawgrass Mills outlet mall. The Sawgrass Mills outlet mall is located in Sunrise, Florida just north of Sunrise Boulevard and West of Flamingo Road, and it is Florida's largest outlet, retail and entertainment center. It has more than 350 stores and two food courts, and it has both indoor and outdoor avenues. The outlet mall at Sawgrass Mills includes the following stores: JCPenney, Aeropostle, American Eagle Outfitters, The Children's Place, GAP, Oshkosh, Tommy Hilfiger, Van Heusen, Calvin Klein, Hugo Boss, Guess, Nike, Adidas, Foot Locker, The Sports Authority and more. for a full list of Sawgrass Mills stores see the Sawgrass Mills directory for a complete list. You can also find discount retailers such as TJMaxx, Marshalls and Beall's Outlet. Super Target is connected to Sawgrass Mills, and in the surrounding area you can find Home Depot and Walmart. The Rainforest Cafe has a fabulous playground, where kids can have a blast climbing and sliding. The playground is great on weekdays, but on holidays and at popular shopping days, it can get very crowded. At the JCPenney section by Super Target you will find a beautiful old-fashioned carousel that the kids will love. Rides cost $2 per ticket, and children under 42" have to be accompanied by an adult. At the JCPenney section you will also find a bungee jumping center, and there is even a small ice skating rink. The very popular ice skating rink will be open until March, and it cost $8.50 plus tax per person. At the Market Food Court you can find a Climbing Wall, and your little one can get a ride on the Sawgrass Mills train. Sawgrass Mills has two food courts with fast food places such as Taco Bell, Subway, Burger King, Sbarro, Panda Express, Tony Roma's and Cajun Grill, many specialty food places such as Cinnabon, Lindt Chocolates and Starbucks. Restaurants at Sawgrass Mills include: California Pizza Kitchen, cheesecake Factory, Grand Lux Cafe, Paul Maison de Qualite, PF Chang's China Bistro, Villagi and the Rainforest Cafe. See a full list of places to eat at Sawgrass Mills. The Oasis at Sawgrass Mills is an outdoor section of the mall, where you can find the Regal 23 Cinema and Imax movie theater, as well as stores such as the Ron Jon Surf Shop, Nordstrom Rack and the Polo Ralph Lauren Factory store. 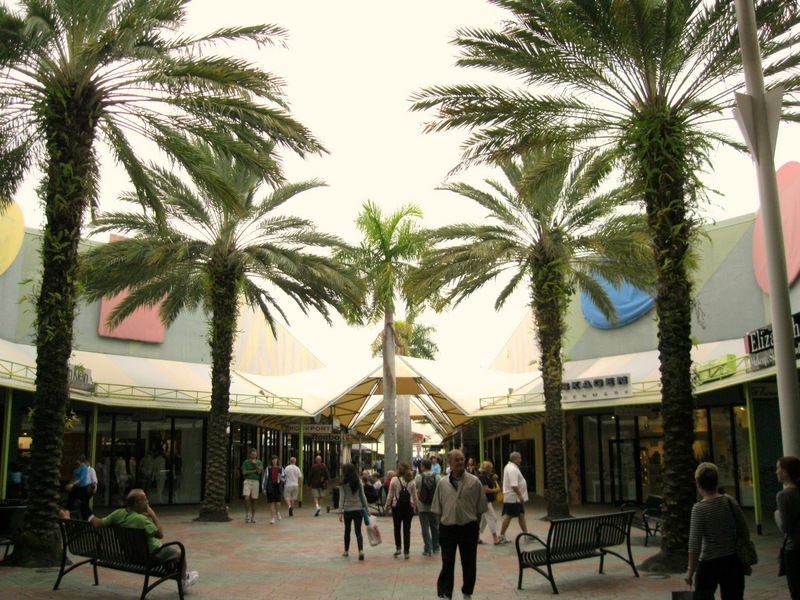 The Colonnade Outlets at Sawgrass Mills is a collection of exclusive luxury outlet stores such as Last Call By Neiman Marcus, Bloomingdale's, Crate and Barrel, Kate Spade New York, Valentino, and the Coach Factory. The Sawgrass Milss Mall is located by NW of the West Sunrise Blvd./Flamingo road crossing. From Fort Lauderdale: Take I-595W, exit at Flaming Road North. 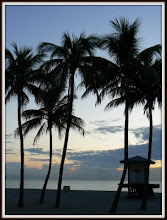 From Miami: Take I-95 North to I-595 W, Ext at Flaming Road or Take Turnpike North or 826 North to I-75 North. Connect to SR 869 and exit at Sunrise Boulevard. Check out the Sawgrass Mills directory for more information about Sawgrass Mills Outlet Mall. Love this place! Live down the street and I'm here once a week!